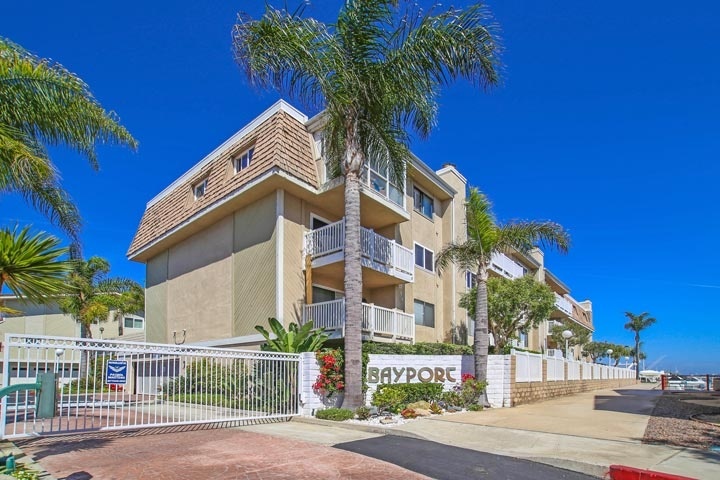 Bayport condos are located in the Northwest Huntington Beach area of Huntington Beach, California. The Bayport gated community is located right next to the waters of the Huntington Harbour and features two to three bedroom condos that range in size from 1,571 to 2,400 square feet of living space. Select condos located here will have panoramic water views. The Bayport homeowners association phone number is 949-450-0202. Please contact them with any association related questions. The building association provides subterranean parking, elevator, community pool, spa and sports courts. Monthly association dues include water, trash, building maintenance and exterior building insurance. Below are the current Bayport condos for sale and for lease in Huntington Beach. Please contact us at 888-990-7111 with questions regarding this community and any of the condos listed for sale here.